Estate planning and long-term medical care are usually the farthest thoughts from people’s minds as they enjoy the holidays. But this time of year offers an opportunity, that is frequently unavailable the rest of the year, to observe and assess the health and potential future needs of older family members. Health issues of aging family members may go unnoticed over the phone, but become quite apparent once seen in person, and necessitate addressing how to get them the assistance they need. The level of care a person needs will vary and directly depend upon the health of each individual, but plans for a variety of circumstances should be considered so the loved one is not forced to drain his/her life savings. Long-term care, in a skilled nursing facility or assisted living facility is an expensive endeavor. The cost of nursing home care is approaching $100,000 per year in Florida, out of reach for many people except the wealthy. Making matters even more complicated, Florida ranks near the bottom in a national report on the quality of long-term care and accessibility States offer to the elderly and disabled. This does not mean the average person is shut out of these critical services. If the right asset protection and estate plan is put in place, they can qualify for state and federal Medicaid benefits. A discussion of what long-term care means, and how an experienced elder law attorney can assist with planning for this possibility, will follow below. skilled medical care, e., nursing home or in-home nurse. Seniors have options when it comes to deciding how to spend their last years, and putting together a comprehensive estate plan with asset protection goals is an effective method to ensure a person’s legacy will outlast them. Paying for nursing home care is a major concern for many seniors due to the high costs, and qualifying for Medicaid to cover this expense means meeting strict income and asset limits. 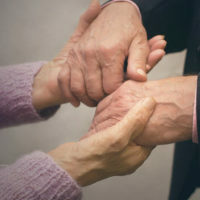 An experienced elder law attorney can provide assistance with Medicaid planning, which uses estate planning techniques to help someone qualify for Medicaid while still potentially saving substantial assets. An elder law attorney will examine a person’s assets to determine if he/she would be disqualified from Medicaid, and to assess various planning options to address Medicaid regulations. It may be tempting to just give everything away to friends and family to qualify for Medicaid, but gifting will render a person ineligible for benefits for a certain period of time. Instead, an elder law attorney can assist with other planning options and strategies to reduce or eliminate countable assets so the maximum amount of financial resources is preserved. Planning for long-term care is a conversation families need to have in advance so emergency situations that result in delayed medical care and access to finances do not arise. William Rambaum is an Oldsmar elder lawyer with more than three decades of experience helping seniors and their families qualify for Medicaid through asset protection and estate planning strategies. Contact our office today to schedule an appointment.